At Maroilles, Haig's First Corps was so hard pressed that aid was urgently asked from the French. Two reserve French divisions responded, and by diverting the attention of the enemy they extricated Haig's corps from a perilous position. The enemy allowed the British no respite. At 8:30 PM on August 25, 1914, when the exhausted British soldiers were preparing for a night's rest, the Germans, in countless motor busses, bore down upon Landrecies. Fortunately, the town had been put in a hasty state of defence, the houses loopholed, machine guns installed, barricades erected, and a company detailed to guard each unit. Singing French songs and wearing French uniforms, the Germans poured into the town, for a while deceiving the British as to their true identity. The battle which ensued was as violent as it was sudden. All through the the night, with only brief intermission, the sanguinary struggle continued. Though outnumbering the British three to one, the Huns were nevertheless compelled to withdraw at dawn, leaving 1000 of their dead in the streets. The town was ablaze in many sections, and scores of buildings had been destroyed. Meantime, the First Corps was heavily engaged at Maroilles, but it stood firmly, reinforced by the French division. THE crisis of the retreat was now approaching. With his two corps widely separated, Gen. French decided to abandon the Le Gâteau position and retire beyond the Somme or the Oise. 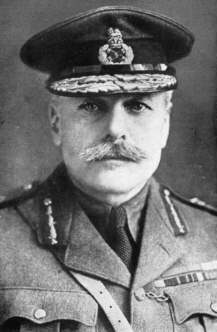 Though terribly exhausted, Gen. Haig's First Corps set out from its scattered halting places in the early hours of the 26th. By dawn the whole corps was inarching south toward St. Quentin. 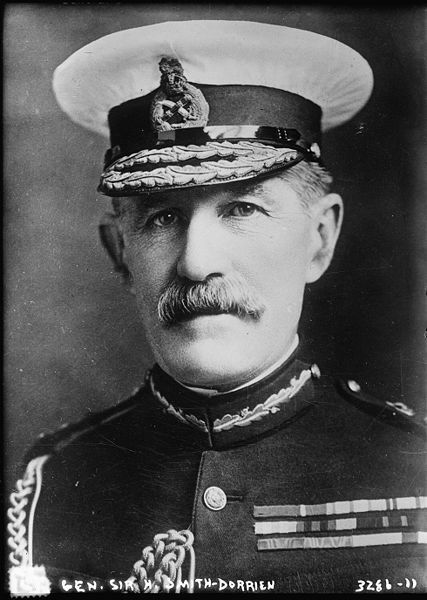 Gen. Smith-Dorrien, deeming his Second Corps too exhausted to retire, so notified Gen. French, but was advised that any delay in retiring might compromise the plan of Allied operations and entail fatal results. To assist his retirement, the entire body of cavalry and the Fourth Infantry Division had been placed under his orders. In disobedience of express orders, Smith-Dorrien on his own judgment decided to engage the Germans, who numbered 200,000 men with 600 guns. With both his flanks exposed and with only three divisions to meet the attack of the enemy's legions, Smith-Dorrien rashly decided to hazard an engagement. The battle opened at dawn. It was a desperate fight for the Britishers. Everything was thrown into the scale. Regiments and battalions, with complete self-abandonment, faced hopeless duels at impossible ranges. Brigades of British cavalry on the flanks boldy threatened whole German divisions. In the shelter of the trenches, withering away but never budging, the infantry grimly dwindled before the German guns. For the first six hours the guns never ceased their thunder. To the infantry it was a battle of stubborn and almost stupefied endurance, broken by lucid intervals of that deadly musketry which had played such havoc with the Germans at Mons. To the British gunners, it was a duel which they accepted gallantly, causing the German masses to shiver and recoil. But once again sheer numbers prevailed. By midday, many of the British batteries were silenced and the enemy had begun a flanking movement. A desperate bout of hand-to-hand fighting ensued, men and horses being mixed in a seething, compact mass. Against such fearful odds the British could no longer contend. To prevent the total annihilation of his corps, Smith-Dorrien ordered a gradual British retreat. In the pandemonium that reigned, the orders could not be conveyed to all parts of the line. Consequently, many isolated units of the British army were cut to pieces. In covering the retirement that followed, several companies of the Fifth Division were almost annihilated. Fully a third of Smith-Dorrien's forces were erased on that fateful field. Single battalions lost as many as 600 men. Never had Britishers fought more bravely or more hopelessly. The story of the nineteen survivors of В Company, Yorkshire Lancers charging the enemy is typical of the spirit which inspired the British regiment. For this error of judgment, Gen. Smith- Dorrien was removed from his command, and exiled to Africa as "commander of the British African forces." The Third British Division, after repulsing a determined attack on Caudry, the apex of their position, retired slowly, their left wing being covered by the newly arrived French division which bore the brunt of the battle with great gallantry. Parts of this division shared the fate of other units engaged in covering the retirement. In the deep darkness of the night, many British units lost their way. Some were cut off or captured; others won their way through the German line to the sea. But of all adventures which befell them, none equals the tragedy of the First Gordons, a regiment that marched in the darkness into a German division in bivouac some miles south of the battle ground and were shot or taken prisoner almost to a man. But with unruffled courage, the British continued their retirement and by nightfall, after another long and weary march, the remnant of the Second Corps and the Fourth Division halted and bivouacked in the pouring rain, the exhausted troops falling asleep by the roadside, too utterly spent to think of shelter. The German pursuit was checked that day by the timely arrival of French reinforcements. From Arras, Gen. Sordet and Gen. d'Aumade had hastened with large bodies of French cavalry, horse artillery, and some battalions of infantry. In resistless charges, the Frenchmen drove the Germans back out of Cambrai, inflicting a blow that recoiled on the whole of von Kluck's army for fully a week, enabling the British to resume their retreat without serious molestation. The great British retreat, which the battle of Cateau had so dangerously interrupted, was resumed on the 27th. Haig"s separated First Corps, perpetually harassed, was moving south as best it could, keeping its general direction but otherwise marching and bivouacking by brigades. Some mishaps occurred during the retreat, as when the Second Munster Fusiliers were cut off at Bergueson, being saved from annihilation by the skillful and audacious action of the Fifteenth Hussars. On August 27, 1914 the Second Corps was still in advance of the First Corps, Gen. Sordet's French cavalry protecting the left flank, but the retreat was never halted. The whole north of France was now in a state of panic, hundreds of thousands of families were in flight along the country roads. Food or drink, there was none, and of shelter, only what the forests afforded. One column of Britishers, after passing through Cambrai, had halted at St. Quentin, and orders were given to turn on the pursuers. Two thousand Scots of the Black Watch, the Greys, the Lancers, and the Cameronians, jubilantly faced 20,000 Germans. Advancing to within 100 yards of the enemy's lines, they charged the Huns gallantly. The Scots Greys, galloping forward through a cloud of bullets, with the infantry hanging on the stirrups, tore past the emplaced maxims and were on the gunners before they had recovered from the surprise. The Black Watch and the Scots Greys fought like demons. It was Scottish bayonets against German swords. The Huns went down by hundreds ; their ranks wavered as the carnage among them increased, and they soon broke and fled before the bayonets, like rabbits before a shotgun. Still the slaughter went on, with here and there a fierce hand-to-hand exchange, as when the Germans, with their retreat cut off, fought to the last man. After four hours of fighting, the Germans were either dispersed, dead, or captured. Four thousand prisoners were taken by those 2000 Scots. The terrible retreat continued. It was one long nightmare for the wearied British. Their chief enemy was no longer the German, but the blazing sun, the toilsome roads, and the limits of human endurance. Sleep was cut down to a minimum. Men fed, drank, and slept as best they could. And day by day the footsore, shoeless troops were continually harassed by the deadly German artillery fire and by the cavalry. By night the Britishers picked their cautious way, in black darkness, through a strange country, fearing at every step to stumble into a German ambush. Yet so stubborn was the spirit of the soldiers that they rebelled against the order to retreat, not knowing that their steady withdrawal was part of a prearranged plan which was destined to bring victory to the Allied cause. By August 28, movement by corps was possible. On the following day the whole British line was once again restored. After eight days and nights of constant marching, their feet worn to the raw, the British reached the La Fere line on August 29, and were out of present danger. 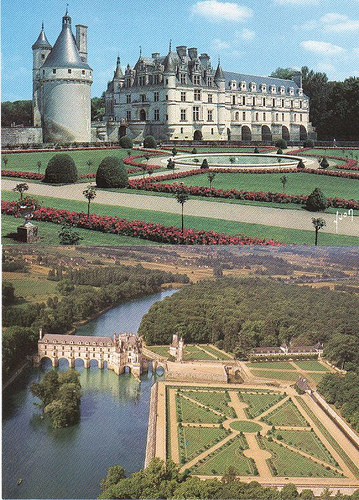 Reinforced on the left by the 6th French Army and on the right by the 5th French Army, the Britishers were prepared to turn and again give fight to the enemy. This was not to be, however; Gen. Joffre's plans called for a further retirement. It had been intended to make a stand on the line from La Fere to Rheims, but this plan was abandoned when the three armies constituting the German center, after smashing the French resistance at the Meuse River, had pursued and driven the French out of Rethel on August 29 and set the town afire. The next day Rheims and Chalons were abandoned to the Huns, and the fortresses of La Fere and Laon surrendered. General Joffre thereupon ordered a general retirement on the line of the Marne, to which the French forces in the more eastern theater of war were directed to conform. Accordingly, the retreat of the British was resumed on Saturday, August 29, first toward the line of the River Aisne, from Soissons to Com- peigne, and then toward the Marne about Meaux. Ten thousand French troops also withdrew from the Somme, blowing up the bridges in their wake. off eight regiments of Germans until relief arrived. 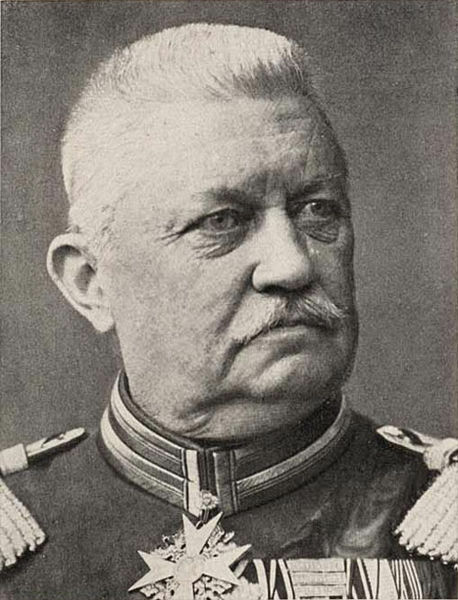 Time and again Gen. von Kluck endeavored to turn the British left flank, but in vain. Twice he pressed the Allies too closely, at Guise on August 29, and at Mezieres on the 30th, but in each case was driven back in confusion with great losses. On September 2, 1914 the British left wing reached the Marne River, and on the following day the whole army crossed over, destroying the bridges in the path of the advancing Germans. There followed a further retirement of twelve miles to a line based on Lagny, and there the British left wing made their last stand preparatory to the great offensive that was arranged against von Kluck's advancing army. 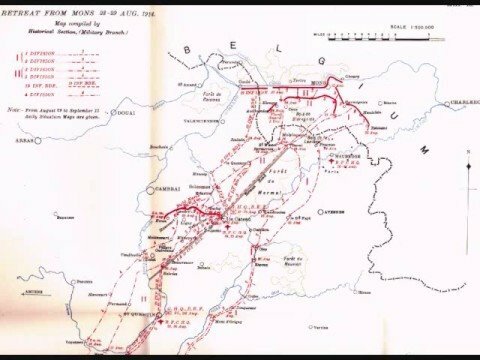 To sum up, the Allied armies in twelve days had successfully retreated 150 miles from Mons and Charleroi, had fought two pitched battles, and many rear guard actions and several cavalry skirmishes. The British Second Army Corps had sustained the brunt of battle and its casualties were not less than 10,000 men. Now, at Regaix they were reinforced by 2000 fresh troops from the 6th Division, and prepared for battle. While von Kluck's army was approaching Paris, the French capital had preserved its outward quiet and calm. Nevertheless, in view of the weakness of the city's defences, it was thought best to evacuate the population and transfer the seat of government to Bordeaux. President Poincare, the Cabinet Ministers, the Senate and Chamber of Deputies, the judges of the higher courts, and the financiers with the reserves of the Bank of France, took passage for Bordeaux on September 3. The civil government of Paris was vested in the Military Governor, Gen. Gallieni, the prefect of Paris, and the prefect of police. An exodus of the population followed, 1,500,000 citizens fleeing to points in the south of France. General Gallieni's first concern was to strengthen the defences of Paris. Hundreds of small buildings within the military zone were demolished in order to leave a clear field of fire. The city gates were barred with heavy palisades, backed by sandbags; barricades were erected in the main thoroughfares, and batteries of machine guns were emplaced in all the public buildings for use in emergencies. Besides the 50,000 soldiers comprising the Paris garrison, the available forces for the defence of the capital on September 3d included some four or five divisions of French troops, chiefly cavalry, holding an advanced position near Dammartin and forming the nucleus of a new French army, under command of Gen. Maunoury, which was gradually being concentrated in the fortified area northwest of the city. The fortified camp of Paris consisted of a number of outlying forts, arranged in a circle around the city, and with a radius of thirty miles. Within this circle there were parallel lines of trenches, and in addition a net%vork of railroads to facilitate the transit of troops and supplies from fort to fort. Before the actual investment of Paris could begin, therefore, the Germans would have to break through this circle of outlying forts and then engage the army of ambush within the fortified area. The fates had kindly decreed, however, that Paris should be spared the agony of a siege. On the same day, September 3d, which witnessed the general exodus of the Parisians from their capital, French air scouts jubilantly reported the abandonment of the German drive on Paris. When within gun range, almost, of the outlying forts, Von Kluck's main army was seen to swerve sharply to the east, turning its back on Paris and then shaping its course in a southeasterly direction, apparently aiming at the four Marne bridges between Meaux and Chateau Thierry, which D'Esperey's retreating French army had crossed only a few hours before. The Paris garrison breathed a sigh of relief which rose to exultation when, a few hours later, information reached the capital that Von Kluck's army had thrust itself obliquely in the path of Von Buelow's Second German Army, sealing all the roads over which that army was advancing and compelling the cessation of all its movements. 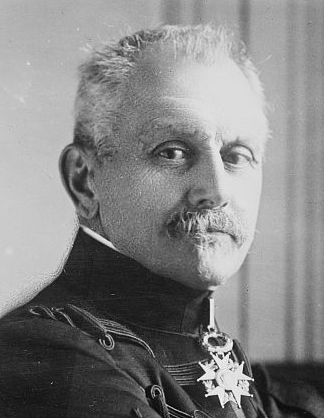 Von Kluck, it appears, had deliberately flouted the orders of the German high command. To him had been assigned the task of guarding the flank of the entire German line, with his whole army facing Paris between the Oise and the Marne, while Von Buelow was in pursuit of D'Esperey's Fifth French Army below the Marne. 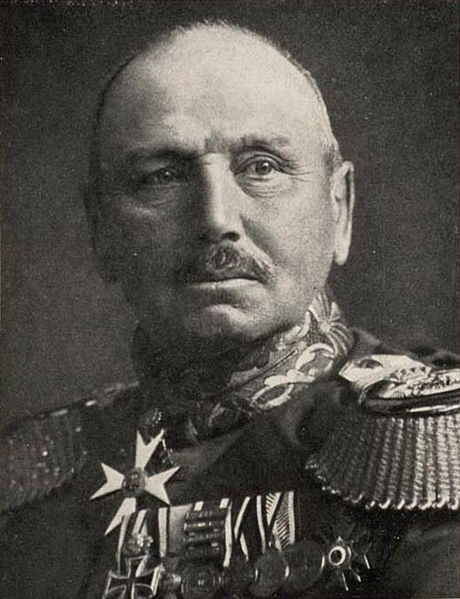 Von Kluck's jealousy of Von Buelow had prompted him to appropriate the latter's task, so instead of remaining above the Marne he had selfishly blocked the path of Von Buelow's advance. The Battle of Le Cateau was fought on 26 August 1914, after the British, French and Belgians retreated from the Battle of Mons and had set up defensive positions in a fighting withdrawal against the German advance at Le Cateau-Cambrésis. In the morning on 26 August, the Germans arrived and heavily attacked the British forces commanded by General Sir Horace Smith-Dorrien. 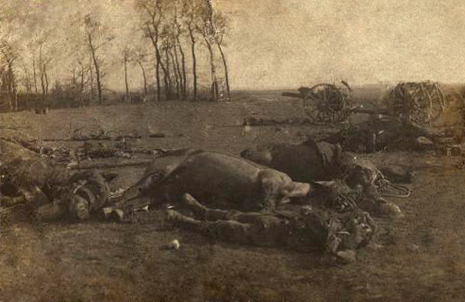 Unlike the Battle of Mons where the majority number of casualties inflicted by the British were from rifle fire, Le Cateau was an artilleryman's battle, demonstrating the devastating results which modern quick-firing artillery firing airbursting shrapnel shells could have on infantry advancing in the open. Holding their ground tenaciously against superior odds despite taking heavy casualties, by the mid afternoon, the right, then left flanks of the British, began to break under unrelenting pressure from the Germans. The arrival of Sordet's French cavalry acted to shield the British left flank, and supported a highly-co-ordinated tactical withdrawal despite continued attempts by the Germans to infiltrate and outflank the retreating British forces. That night, the Allies withdrew to Saint-Quentin. Of the 40,000 Allied men fighting at Le Cateau, 7,812 were injured, killed or taken prisoner. Several British regiments had even disappeared from the rolls altogether. Thirty-eight artillery guns were abandoned to the advancing Germans, the majority having their breach blocks removed and sights disabled by the gunners before retirement. For these losses, however, the engagement at Le Cateau had achieved its objective, and enabled the British Expeditionary Force to retreat unmolested by the Germans for a further five days. Despite being later criticised for his decision to "stand and fight" at Le Cateau by his superior Field Marshal Sir John French, General Sir Horace Smith-Dorrien was lionised by both the army and the public at home for his actions. The consensus amongst military historians considers Le Cateau as amongst one of the most successful holding actions in British military history, ranking alongside the Battle of the Imjin River during the Korean War in terms of its strategic effect.